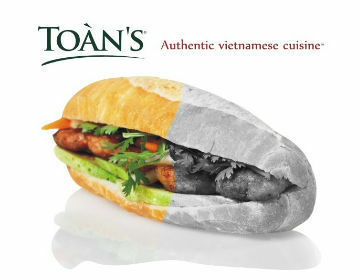 Toàn's is an oriental fast-food restaurant in downtown Bucharest, on Magheru Blvd, near Patria cinema, with authentic Vietnamese cuisine, natural ingredients, vegetarian sandwiches and not only, as well as take away and home delivery. Locals in Bucharest have reviewd Toàn's Fast food in Bucharest. You can find here description, reviews, address, map, phone, website of Toàn's Fast food in Bucharest. Visit Bucharest Tips for more Fast food restaurants in Bucharest!